From the Place Vendome to the Ile de la Cité, the 1st arrondissement in Paris is one of the oldest districts of Paris and also the district of the great Kings of France. The Royal Palace, the Tuileries Gardens, the Louvre Museum and the Palais de la Cité are the places where the royal power and its court were established for centuries, making the area one of the most sumptuous in the capital. 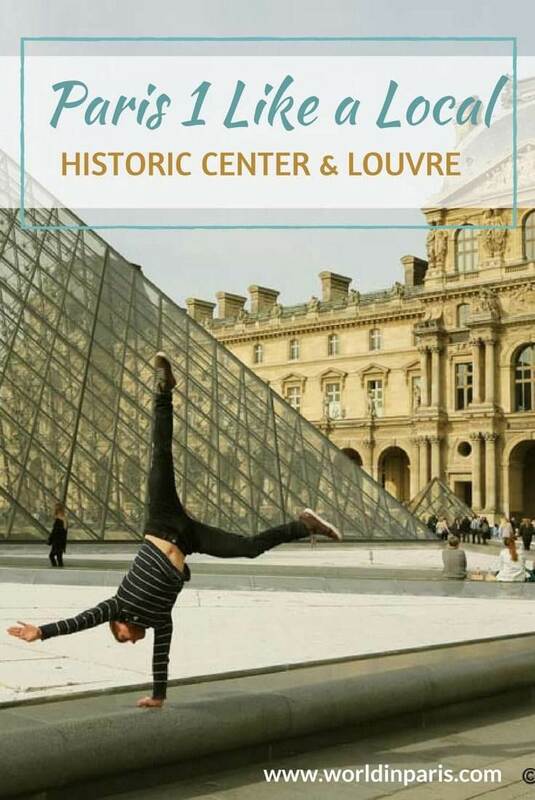 In this area, the Louvre Museum is the star. The former Royal Palace with its glass pyramid commissioned by François Mitterand attracts art lovers and novices alike. The neighboring streets are mainly devoted to retail and sometimes luxury, particularly in the direction of Place Vendôme. It is also in Paris 1st Arrondissement where we can find most of the “Royal Squares” in Paris. These squares were originally peaceful places of walk designed to admire the statue of the sovereign. Place Dauphine (1614), Place des Victoires (1686), and Place Vendôme (1699) are the Royal Squares in the first arrondissement. Nestled between the Palais Royal and Île Saint-Louis, Les Halles mall was the traditional central market of Paris. In 1183, King Philippe II Auguste enlarged this marketplace and built a shelter for the merchants, who came from all over to sell their wares at “the Belly of Paris” Today the underground Forum des Halles replaces that old market and its new spectacular architecture deserves a little visit, even if you don’t want to shop. When night falls, the bars are packed and artists invade Place des Halles to take part in shows. No surprises here: you can find all these Paris Monuments and Paris points of interest on all the guidebooks about Paris so no post talking about the first arrondissement would be complete without the top tourist attractions in Paris. If this is you are visiting Paris for the firs time you will like to visit some of them, they are very touristy but beautiful! Some of them are part of famous places in Paris. Some of them are Paris best-kept secrets. 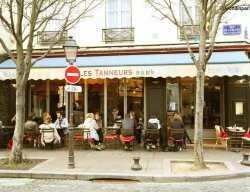 This is our personal list of unusual things to see in Paris 1st Arrondissement to enjoy Paris Like a Local. Buren columns – they are funny! The oldest public Clock in Paris – this clock has been giving time to Parisians since 1371! On our Paris Arrondissement Guides, we like to encourage people to beat the crowds and explore Paris beyond its main sights. Despite being one of the most touristy districts of Paris, we like to visit Paris 1 from time to time, especially when the weather is nice. This is our personal list of unique things to do in the first arrondissement to enjoy Paris like a local. Check our proposals (by Paris arrondissements) on Yummy Paris. Affordable restaurants in Paris 1 but also Paris bistros or Paris street food. This is a living page which we are continuously “feeding” with our Parisian friends’ suggestions. Come back to Yummy Paris from time to time to read the newest additions. Ranked among the most luxurious hotels in the world and recently renovated, Ritz is all about location, (Place Vendôme), history and glamour. Featured in many notable works of fiction, the Ritz hosted people like Chanel, Hemingway and Princess Diana of Wales. Good location (5 min walk to Louvre or Tuileries) and a beautiful building with the charm of Parisian Belle Époque. Rooms have an exclusive atmosphere, all decorated with that French style that you are looking for. The hotel’s Bar is a real institution in Paris. If you are looking for a more contemporary style, this is the hotel for you. Good location (facing Palais Royal) and an ancient building from the outside but pleasantly modern inside. The ensuite rooms are cozy and big by Paris standards. WANT TO EXPLORE BEYOND PARIS 1? Paris is breathtaking and magical! Experiencing it like a local is the best thing! I’ve always wanted to see Paris – but it might be a bit of a culture shock compared to the red, open spaces of the Australian outback where I usually hang out! But this is such a great guide that you’ve almost inspired me to book my ticket! Awesome guide, it’s been a long time since I’ve been to Paris which means it’s about time we visited again! There are so many things on here that I missed the first time and that’s just in such a small area! I visited Paris some years ago and the city did not really take my breath away- it seemed so big and crowded. I tried to see it in just 3 days and I think you really need more. Your post makes me feel like I want to revisit it again! I would like to come back with my boyfriend for at least a week and stay in one of the hotels you recommend. Top on my list is seeing some of Monet’s paintings. Love his work. I’m always up for quirky sights and I’ve made note of your list Great tips on the hotels, and I like that you’ve included the prices. I had no idea Paris was divided up like that! You are welcome, Crystal. Glad that you liked my ideas! Love Paris and this post takes me back to the time when I lived in the city of lights. Indeed, great recommendations of things to do with Jardin des Tuileries being a favorite. Great post and looking forward to your other ones about the different arrondisements 🙂 I lived in the 12th. Can’t wait to read what you’ll highlight! There’s so much to see and do in Paris, especially the gardens. I was there last June but didn’t get a chance to see many of the places you’ve listed. Have bookmarked this post for when I’m able to visit again. Hard to not fall for Paris! I personally love Sainte Chapelle. It is one of my favorite sites in the city, and always head back there when I’m in Paris. Of course, just walking along the Seine and talking in the atmosphere is always nice as well! It’s so nice to read and realise that Paris has many more things to offer than just the Effile Tower. All the places quoted here looks so interesting. Paris is a very famous destination and what I love about your site is that you provide off-the-beaten sights from a local’s perspective. Paris is one of my favorite cities, and these are all great tips. Just seeing those macarons makes me want to plan another trip right now! What an incredible guide! I’ve never been to Paris but it’s on my list! 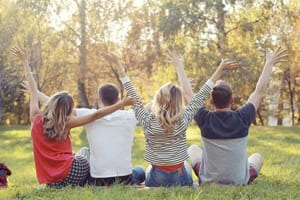 This guide gives me everything i need to plan an awesome trip. The first time I visited Paris I wasn’t that impressed, from your list of things to do I have only been to the Louvre. I think I left the real Paris out. So I am saving this post and planning a new trip there. maybe this time I will fell in love with it!